e at the end of the month. Hotline Miami developer Dennaton Games and Payday developer Overkill have been working together to create the Payday 2 DLC for the sole reason that the developers at Overkill are huge fans of the 80s-soaked neon ultra-violent top down action game. Details on the DLC are limited at present with Overkill confirming little other than the fact that a new heist will be included. The pack will launch on September 30. A live-action trailer released with the announcement shows a filter over the footage similar to the graphical style of Hotline Miami and the appearance of character in one of Hotline Miami’s iconic animal masks. 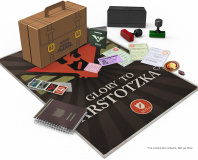 There is precedent for this sort of crossover with Overkill as Payday: The Heist received an expansion themed around fellow four-player co-op title Left 4 Dead. Payday 2 was released in August 2013 and has so far received one major DLC pack, Big Bank, with three other heists including a diamond heist, a casino heist and a prison break planned for the future. A series of smaller content updates have also been added to the game over time. Hotline Miami is also set to see a sequel released by the end of 2014. 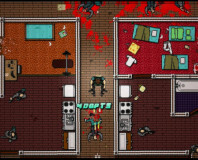 Hotline Miami 2: Wrong Number will take place both before and after Hotline Miami and is said to be the last game in the series.